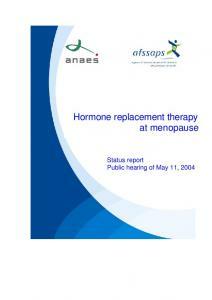 Abstract The treatment and prevention of disease in menopausal women due to deficiency of estrogen hormone are done through the administration of estrogen hormone, known as hormone replacement therapy (HRT). 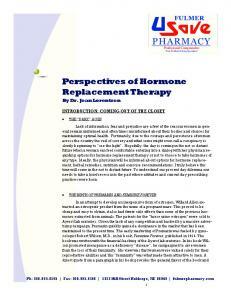 The administration of HRT is commonly done through the administration of tablets. However, the administration of tablet will result in metabolism in the colon and liver. Tablets are usually used on a daily basis such that it may lead to boredom and results in gastrointestinal disorder. The administration of gel, on the other hand, is done by applying the gel to the body and therefore metabolism in the colon and liver can be prevented. 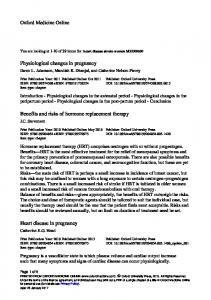 In women with uterus, estrogen must be combined with progestogen. The type of progestogen recommended is the one with natural derivative and which possesses antimineralocorticoid properties, such that fluid retention can be avoided. One of the types of progestogen which does not result in fluid retention is nomogestrol acetate. Nomogestrol acetate will also inhibit 17β hydrosisteroiddehydrogency enzyme type 1, such that estradiol (E2) is prevented from being transformed into estron (E1). As a result, E2 level in the breast tissue is kept at minimum, thereby reducing the risk of breast cancer. 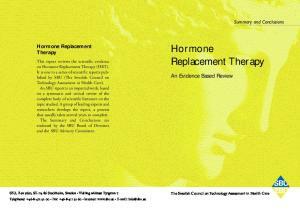 (Med J Indones 2003; 12: 194-8) Keywords: 17β estradiol gel, hormone replacement therapy, progestogen, nomogestrol acetate, enzyme. followed by plaster and cream. Injection and implant are not highly recommended, particularly in women who still have uterus, since it may result in severe bleeding. In addition to boredom, the administration of tablets may also lead to gastrointestinal disorder. Tablets will be absorbed by the colon and in this colon metabolism will be developed by the enzymes existing in the colon lumen. Furthermore, the tablets will reach the liver and a metabolism will in turn be produced by the liver. In addition, tablets, particularly estrogen, will trigger the formation of certain proteins such as angiotensinogen, blood coagulation factor, and certain enzymes. Angiotensinogen will cause hypertension and enhance blood coagulation factor that may result in thrombosis. Enzymes which are formatted may disrupt metabolism of certain medications (oral antidiabetics, oral tuberculostatics, tetracylin) which are accidentally used in conjunction with HRT containing estrogen. Therefore, it is advisable that patients with hypertension and/or history of hypertension, history of embolism, severe varices, history of gall bladder surgery and/or current gall bladder disease, and history of liver disease and/or liver dysfunction, not use HRT in the form of tablets. 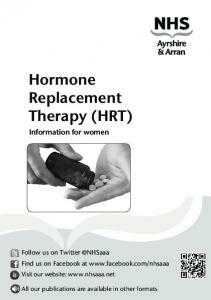 In patients with the aforementioned abnormalities, or patients who have grown weary of using tablets everyday, HRT in the form of vaginal cream, plaster, or gel (transdermal) can be recommended. It should be noted, however, that such administration of HRT is not achieved through the colon or liver, such that its level in the blood is very high (being prevented from metabolism). Also, doses to be used are relatively low. 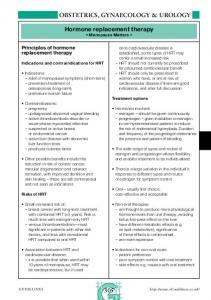 In patients who still have uterus, HRT should be administered in combination with progestogen. The purpose of progestogen administration is to prevent endometrial cancer. Although estrogen is administered transdermally, progestogen in the form of cream is still unavailable in Indonesia as yet. It is necessary to know the properties of the type of progestogen tablets to be administered. 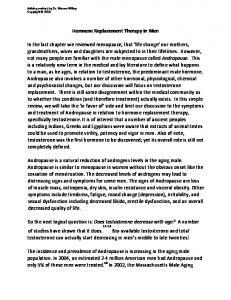 The most frequently used type is progesterone-derivative progestogen. Following is a discussion on the administration of transdermal estrogen in gel and the administration of progestogen tablets. ESTRADIOL GEL Gel that contains estradiol is put in a dispenser. (Figure 1). At one press 0.5 g gel (0.5 mg estradiol) is squeezed out. Early recommended dose is 1.5 mg estradiol (3 x presses).1 At the first press, the dose is usually not so accurate that it would be best to get rid of it. In women with uterus, the dose should be combined with progestogen. The combined doses could be administered cyclicly, sequentially, or continually. (Figure 2) Parts of the skin recommended include abdomen, upper thigh, arm, and shoulder, while breast and mouth, or mucous membrane are not recommended. (Figure 3) Areas of the skin to be applied must be clean, dry, and without wound. It is not necessary to rub the skin repeatedly, and do not put on clothes too soon. It should be used daily and the sites of application may be interchangeable. TYPES OF PROGESTOGEN The most recommended type is synthetic progestogen which resembles natural progesterone, such as medroxyprogesteron acetate (MPA), nomogestrol acetate, siproteron acetate, didrogesteron, chlormadinon acetate, and magestrol acetate. 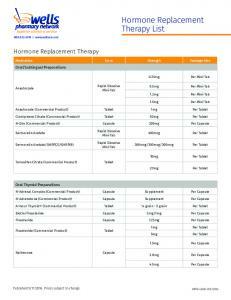 Natural progesterone is also widely used, but it requires a very high dose (100-200 mg/day). It is not necessary that all types of naturalderivative synthetic progestogen be activated by the liver, such that the liver can be prevented from being overburdened. In addition, natural-derivative progestogen does not affect lipid metabolism. As known, the decrease of HDL cholesterol and the increase of LDL cholesterol carry the risk of cardiovascular. found to increase mammographic density by up to 2550%.5 The increase of mammographic density is indicated by an increase in the proliferation of epithelial cells of the breast.6 Women whose breast tissues show an increase of mammographic density by 60-75% are at risk for breast cancer 4-6 times as high as those who do not show an increase in mammographic density.7 Several types of natural-derivative progestogen, such promesgeston, nomogestrol acetate and medrogeston, have powerful ability to inhibit 17 beta HSD enzyme type I, such that E1 is prevented from being transformed into E2. On the other hand, testosteronderivative synthetic progestogen, such as noretisteron or levonorgestrel and linestrenol, are capable of triggering the activation of 17 beta HSD enzyme type I, thereby transforming more E1 into E2.4,8,9 Of all types of testosteron-derivative progestogen, only tibolone has the effect to inhibit the activation of 17 beta HSD enzyme type I, and triggers the activation of 17 beta HSD enzyme type II.10 The enhanced activation of 17 beta HSD enzyme type II will cause even more E2 to be transformed into E1. 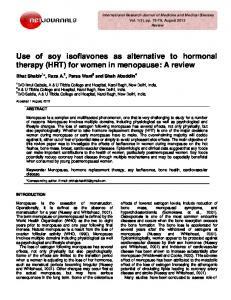 It has been shown that the administration of tibolone increased mammographic density only by 2-6%11 (Figures 4a and 4b). tion and mammographic density during continuous combined HRT. Climacteric 2002; 5 : 51. 7. 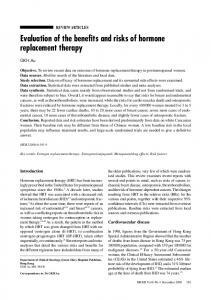 Svane G. Mammographic Density and HRT. 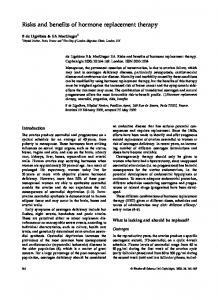 In: The effect of HRT on mammographic density. Evidence from the clinic. Symposium. 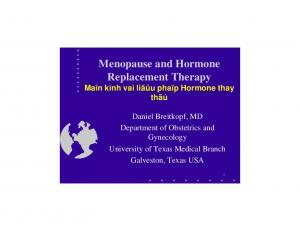 The 10th World Congress on Menopause. Berlin 2002;9-10. 8. Chetrite G, Paris J, Botella J. Effect of nomogestrol acetate on estrone-sulfatase and 17 beta-hydroxysteroid dehydrogenase activities in human breast cancer cells. J Steroid Biochem Mol Biol 1996;58:525-31. 9. Chetrite G, Ebert C, Wright F. Control of sulfatase and sulfotransferase activities by medrogestone in the hormone dependent MCF –7 and T-47 D human breast cancer cells lines. 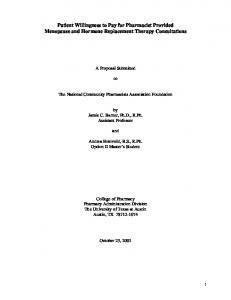 J Steroid Biochem Mol Biol 1999;70 : 39-45. 10. Pautanen M, Isomaa V, Kainulainen K. Progestin induction of 17 beta hydroxysteroid dehydrogenase enzyme protein in the T-47 D human breast cancer cell line. Int J Cancer 1990; 46: 897-901. 11. von Scholultz B. 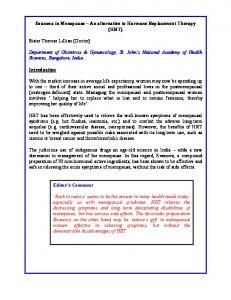 The effect of Tibolone and conventional HRT on breast cell proliferation and mammographic density. 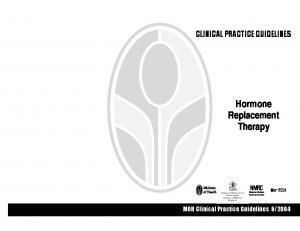 In: The effect of HRT on mammographic density: Evidence from the clinic. Symposium the 10th World Congress on the Menopause. Berlin 2002:13. 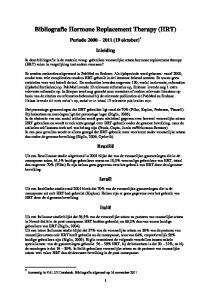 ERRATA This is to correct a technical error concerning two manuscripts entitled : 1. The effect of fiber diet on colonic cancer formation: the role of butyrate. Recently published in vol. 12 # 2, April-June 2003 issue. The authorship should read: Ari Fahrial Syam, Daldiyono 2. Idiosyncratic chloroquine retinopathy – a case report. Published in vol. 11 # 3, July-Sept 2002 issue. The authroship should read: H.Singh, M.Rathee, M.S. Gupta, K. Kishore, S. Singh, J. Singh. We apologize for the inconvenience. 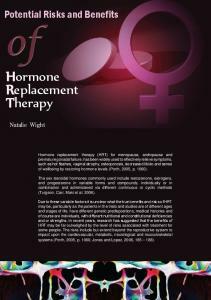 Report "The use of 17 Estradiol gel and progestogen tablet for Hormone Replacement Therapy (HRT) in menopause"